Circle back and book the business. If you haven’t heard back from a customer a couple of days after sending your initial bid or being contacted by them, a gentle follow-up is a great way to keep customers engaged. We all have the tendency to get busy and distracted; sometimes a simple check-in can motivate a customer to make a decision. Immediately after your bid is sent, you will be able to see if the customer has opted to include his/her mobile number. If that is the case, that means they'd like to hear from you by phone and you should contact them at a reasonable time during the day. A great time to follow-up with customers is immediately after they view your bid (we'll notify you when that happens). 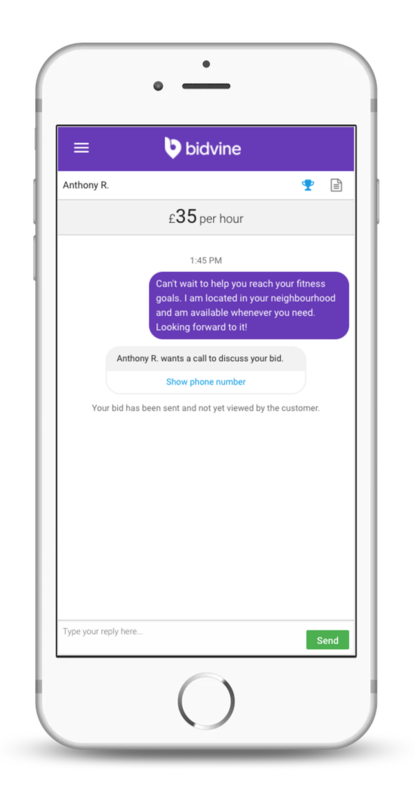 You can follow up with a customer using Bidvine's messaging system or, if the customer had provided their phone number, over the phone. Whenever a customer update's the status of their request it will be reflected on your Bidvine account. Simply go the Active Bids section of the site and you will be able to see the current status for each of your active bids.